Product prices and availability are accurate as of 2019-04-20 22:21:00 BST and are subject to change. Any price and availability information displayed on http://www.amazon.com/ at the time of purchase will apply to the purchase of this product. 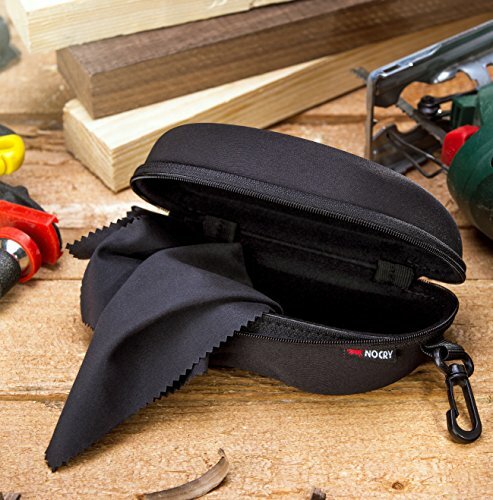 No matter what kind of glasses you wear and carry around, NoCry Protective Storage Case will keep them safe from bumps, scratches, and other damage. The case's internal space measures 6.3 inches long, 2.9 inches wide, and 2 inches deep. 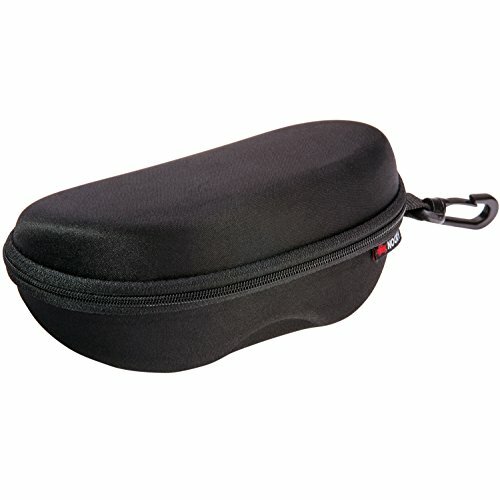 It's not overly bulky, but it is large enough to protect virtually any glasses you own, including safety glasses, Aviators, Sidewinders, and other large sunglasses. 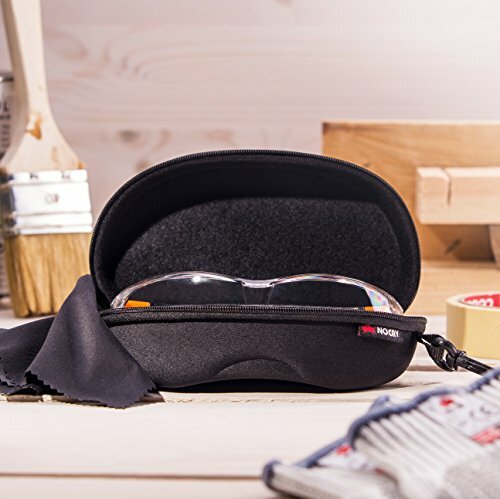 A microfiber cloth is included with the case for cleaning your glasses without damaging the anti-scratch and anti-fog coatings. 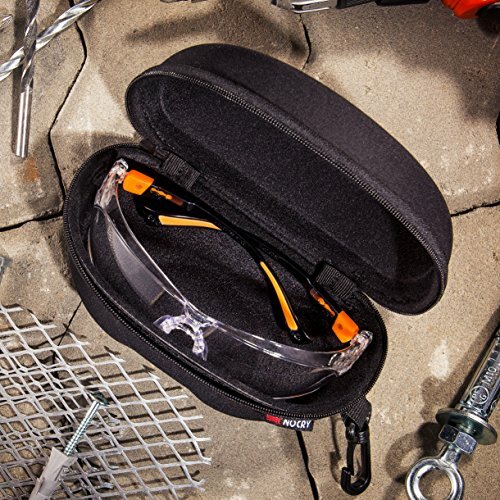 No matter how you stow your eyeglasses, this semi-hard storage pouch gets the job done. It comes with a hard plastic clip that easily attaches to backpacks, belts, purses and bags. Or the protective case can be zipped shut and dropped into your bag or left in the car. Either way, your eyewear stays safe. 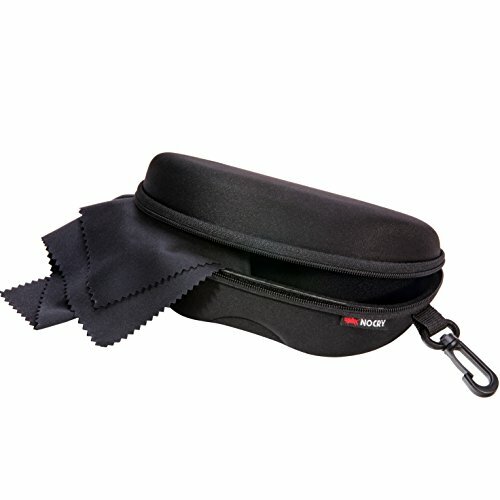 Despite the semi-hard, outer shell, this eyeglasses storage pouch is so lightweight, you won't feel it while carrying your bag or purse. It is incredibly lightweight for such a protective accessory. 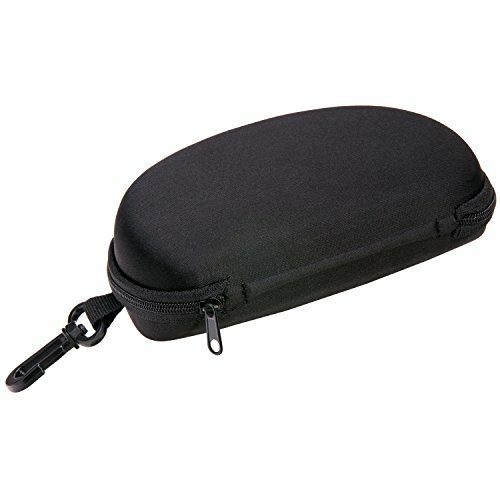 The inside of the case is lined with soft velvet to protect your glasses from scratches and other damage, while the outside shell is attractively smooth. The black color naturally hides most dust and dirt. And if the case does start to show some dirt, it can be easily cleaned with a little soap and water and a brush or cloth. NoCry stands behind every item we make. If there's an issue with your product, we'll make it right by replacing it or giving your money back. Click the orange "Add to Cart" button to get your NoCry Protective Storage Case today!